We have been specializing in golf breaks to Prague and golfing holidays around the Czech Republic since 2001. Golf packages and tailor made tours to meet all your needs. Play for example 3 rounds in Prague on the most popular courses, stay 2 nights in Prague, and have the package including all golf and airport transfers from 299 EUR. 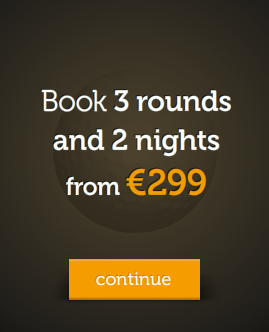 More information at golf@abante.cz or tel. : +420 604 281 334. Looking for a private sightseeing tour, a brewery tour, Prague opera tickets? For buggies, golf clubs rental or caddies too? No problem, enjoy our full travel services, ask for tailor made golf arrangement and group discounts. Enjoy the magic of Prague, discover a new golfing experience.